Intel is allegedly back to playing dirty in a deliberate attempt to cut AMD and its Ryzen CPUs out of the market. Reports allege that Intel PR is gearing up for a response to Ryzen. With some reports claiming that Intel personnel may have even approached some customers with “incentive rebates” and other special promotions to exclusively use Intel chips. In some cases allegedly urging them to make big buying decisions before they could evaluate competing AMD products. Even a decade after all the backlash Intel garnered from its anti-trust and anti-competitive litigation and investigations, it seems that the more things change the more they stay the same. If recent reports are to be believed, Intel may be dipping its hand back into its little box of tricks. The embargo on Ryzen reviews is expected to end on March 2nd. That’s when independent reviews are expected to go live. One report claims that Intel PR has sent a “call us before you write” email to some of the press reviewing Ryzen chips. Intel PR sent out a last-minute “call us before you write” email to most of the press, but not SemiAccurate, after hours last night. You could infer that they are suddenly really worried about something. It’s not uncustomary for companies to reach out to the press when they’re in the process of reviewing a competing product. Usually to lay out their response, tell their side of the story or to announce price cuts. We have contacted a few members of the press and asked if they received an email from Intel that falls outside of the above context and they’ve all so far denied receiving such an email. In the filing, the company goes into detail about the long and bitter rivalry between it and its much larger competitor over the years. It shone a light on a systemic employment of underhanded and anti-competitive practices to muscle AMD out of the market. Citing several instances of well documented litigation on the international and local levels that Intel either lost outright or had to settle out of court. Intel underwent several investigations by international regulatory bodies that resulted in fines and/or other penalties. The last of which amounted to $1.4 billion dollars. Which Intel had to pay as recently as 2014. But, only after losing its final challenge to the decision which it dragged in EU courts for nearly a decade. “The Commission demonstrated to the requisite legal standard that Intel attempted to conceal the anti-competitive nature of its practices and implemented a long term comprehensive strategy to foreclose AMD from the strategically most important sales channels,” the court said in a near 300-page decision. Intel provided monetary incentives in the form of hidden rebates to Acer, Dell & HP on condition that they bought all, or almost all, their x86 CPUs from Intel for three years and none or, almost none, from AMD. Intel provided hidden rebates to Lenovo on condition that it purchases its CPU needs for its notebook computers exclusively from Intel. 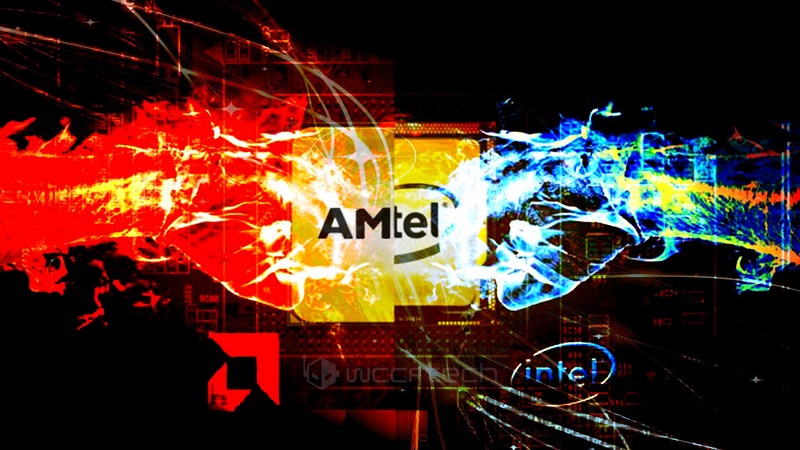 Intel paid computer manufacturers to halt or delay the launch of AMD hardware, including Dell, Acer, Lenovo, and NEC. In 2010 Intel settled an investigation by the FTC for $1.25 billion paid to AMD. The usual complaints we’ve seen from the EU. Intel rewarded OEMs to not use AMD’s processors through various means, such as volume discounts, withholding advertising and R&D money, and threatening OEMs with a low-priority during CPU shortages. Intel reworked their compiler to put AMD CPUs at a disadvantage. For a time Intel’s compiler would not enable SSE/SSE2 codepaths on non-Intel CPUs, our assumption is that this is the specific complaint. To our knowledge this has been resolved for quite some time now. Intel paid/coerced software and hardware vendors to not support or to limit their support for AMD CPUs. This includes having vendors label their wares as Intel compatible, but not AMD compatible. False advertising. This includes hiding the compiler changes from developers, misrepresenting benchmark results (such as BAPCo Sysmark) that changed due to those compiler changes, and general misrepresentation of benchmarks as being “real world” when they are not. These demonstrate only two recent examples of Intel getting reprimanded as a result of its anti-consumer practices. The scale of Intel’s operations and the amount of effort it put in to beating the market into submission goes further back than just a few years. In the early 2000s when AMD’s Athlon 64 launched, which coincidentally was designed by Jim Keller the very same architect behind Ryzen, we witnessed Intel escalate its offense. Intel executives are on record as referring to Dell as “the best friend money can buy” as well as openly acknowledging the use of rebates dubbed MCP — Meet Comp Program — to muscle OEMs into not dealing with AMD. Extremetech’s Joel Hruska goes into a good amount of detail about how this scheme was orchestrated to ensure the demise of OEMS that rebelled against Intel. 2017 And AMD’s Ryzen Launch – Is Intel Going Back To Its Not So Old Ways? If there’s one thing the ecosystem has learned the hard way is that we desperately need a competitive AMD to keep Intel in check. Steadily rising CPU prices with lack of any significant performance increases over the past five years has only been the result of a complacent Intel and a non-competitive AMD. After a lengthy absence AMD is finally back in the market with a product that appears to be truly competitive. Ryzen is set to take on Intel’s core i7 lineup by offering better or similar performance at every segment for half and in some cases even down to one third the price. It has already declared its $499 Ryzen 7 1800X the fastest 8-core desktop CPU in the world and has demonstrated it outperforming Intel’s $1050 i7 6900K. Its $399 Ryzen 7 1700X offers nearly the same performance for $100 less. Its third Ryzen 7 chip, the $329 1700, offers i7 5960X class performance at 1/3rd the price. Suffice to say the Ryzen 7 lineup has dominated the Intel counterparts across price/performance charts since their announcement. In fact, the value proposition has been so attractive that it propelled Ryzen to the top of retailers’ best sellers lists. Just a few hours following their debut Ryzen CPUs became the best selling chips on Amazon and ran out of stock at several retailers. This is what it all comes down to. A $1.4 or a 1.25 billion payment over a decade and a half is chump change for a multi-national conglomerate like Intel. Which generates ~$60 billion in yearly revenue and spends several billion on marketing alone in a given quarter. Because these market destructive practices are and can only be met with too little too late, from a purely economic perspective, Intel finds the results of its actions more advantageous than detrimental. Cutting out the competition leads to market stagnation and higher prices. A concoction of circumstance that monopolies thrive in. But one where we, the consumers, and the market as a whole suffer greatly. We always end up paying the price of a misbehaving monopoly. Thankfully the market today is not the same as it was ten years ago. Tech companies are as independent as ever, the whole world is much more closely connected and we, the consumers are better informed. My hope is that today’s Intel is one that will only look at its past action with sober thought and regret. With the realization that its enormous pools of resources are better spent innovating and pushing the limits of technology. My hope is that today’s AMD is better equipped to shield itself from the aggression of a much bigger player if it ever comes down to that again. My hope is that history will only serve as a reminder to us and the entire ecosystem to stay vigilant and not let it repeat itself. The editors-in-chief of two of America’s top PC hardware and technology publications have confirmed to Wccftech that they have indeed been approached by Intel regarding upcoming Ryzen reviews, although both said that it was business as usual. Affirming that Intel’s response following AMD’s Ryzen announcement was what they had expected it to be, they added that nothing was particularly unusual about the emails they received from Intel.